Tabitha grew up in England and moved to the US for college. She didn’t want to specialize only in medicine, at that point. But she already knew she wanted to be a physician. In the US she was able to complete an undergraduate degree in Cognitive Science and Philosophy. She wanted to work in research before applying to medical school and ended up working on a project on HIV prevention in people who use drugs. Later, encouraged by science-twitter, Tabitha reached out to a scientist she admired and became a research affiliate at Neuroethics Canada. These experiences made her determined to stay in the world of neuro- and bioethics, after she completed her master’s degree in biotechnology there. 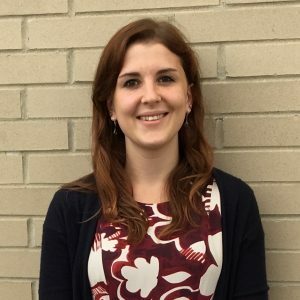 As an undergraduate, Tabitha had her first outreach experiences organizing a radio segment (Public Health Minute), in which important research results were communicated directly to the public. She says that becoming active on science Twitter around this time taught her more about outreach and helped her focus her career goals. If you want to hear more from Tabitha, you can find her website here.